"There's little doubt that Dimitrov is the better player, but he only boasts marginally better hold and break data, and while he does make a strong case for being in better shape as regards to experience, this price is very short indeed and it's impossible to justify such a line, based on numbers." There were two large shocks on day eight of the Australian Open with Novak Djokovic, despite recovering a number of break deficits, succumbing to Hyeon Chung in straight sets, while our recommendation, Tennys Sandgren, not only covered the +2.5 set handicap - let's not forget, he was an underdog just to achieve that - but beat Dominic Thiem in five sets, coming back from heartbreak after spurning a match point in set four. It was more a case of normal service resumed in the other two fourth round matches, as Roger Federer eased to victory over Marton Fucsovics, while a resurgent Tomas Berdych kept his good tournament going as he beat Fabio Fognini - both were in straight sets. Tomorrow sees the beginning of the quarter-finals, with two matches in the men's event and two in the women's - I must admit, I prefer the two events to be split days at this stage as is the case in some other Slams - but in the first men's match of the day, the Brit, Kyle Edmund, who is starting to get some media attention in the UK after his exploits in the last week and a half, a heavy underdog at [4.00] to make his first Grand Slam semi-final. The man standing in his way is Grigor Dimitrov, with the Bulgarian currently at [1.33] on the Exchange and looking very short indeed, with my model pricing him at [1.54] instead. There's little doubt that Dimitrov is the better player, but he only boasts marginally better hold and break data, and while he does make a strong case for being in better shape as regards to experience, this price is very short indeed and it's impossible to justify such a line, based on numbers. When priced between [1.20] and [1.50] in hard court Grand Slams, Dimitrov has never won a match in straight sets, and only in one match, against Joao Sousa in the US Open in 2016, did he cover game handicap lines. Edmund +1.5 sets is 6/4 with the Sportsbook, but I prefer backing over 3.5 sets at 4/6 instead. I'd be very surprised if Edmund blitzed Dimitrov for us to get an unlikely loser, so all we are effectively doing is relying on the Brit to put up some plucky resistance. In the other men's match tomorrow, our outright picks face decision day, as we need Marin Cilic to beat Rafa Nadal to give us a quarter winner, as well as offering us a really decent outright winner market trading position. The Spaniard, who takes a 5-1 head to head lead into the clash, is a [1.28] favourite to end our hopes, and I was anticipating him to be far less strong going into the match following an off-season beset with injury. My model agreed with this price, so there will be no further recommendations added here, particularly when we bear in mind that Cilic has an awful record against elite players in general - I was rather hoping that like at Wimbledon last year, he wouldn't have to play one at this stage. 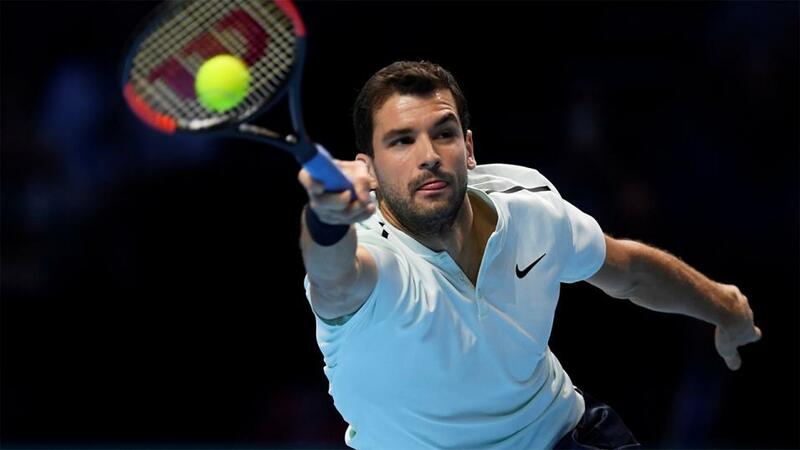 Back Over 3.5 sets at 4/6 in the Grigor Dimitrov v Kyle Edmund match with the Sportsbook.